We know winter tends to be cold, windy and drying. 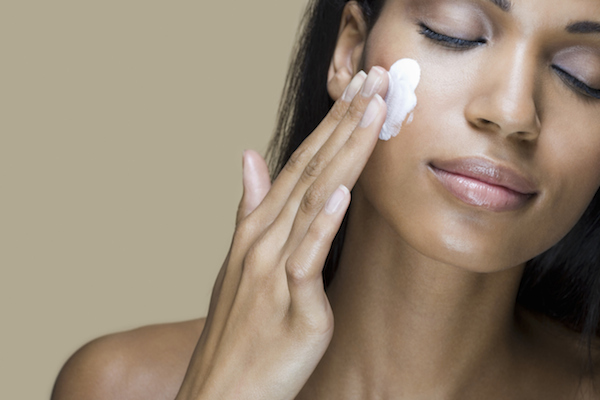 But while we’re dragging out our boots and warmer coats, we may not be thinking about upping our skin care routines. Seasonal wardrobes impact all parts of our lives; this includes how we treat our face and body as the weather chills down. One big (and rather common!) mistake is that we often forget to wear sunscreen in the winter. We tend to associate wearing an SPF only in the summer. However, it’s still important to use an SPF during the winter months because the sun is still strong during the winter, says Dr. David Bank, a board certified dermatologist. In addition, since the ozone layer has thinned over the last several years, the sunlight we are exposed to today, even in the winter, is more intense than it was 20 years ago! Dr. Bank says that every day we are exposed to the sun without even realizing it – just by our basic everyday activities. In fact, if you are a skier, sun on the slopes can be as strong or even stronger than a hot summer day since snow reflects 85% of the sun’s rays which is why you can get a skier’s sunburn! The sun’s rays are always strongest between 10 AM and 4 PM so it would be best, even in the winter, to try and limit your outdoor activities during those hours, Dr. Bank says. If you can’t, then make sure you are well protected with sunscreen, hats, sunglasses and aim for the shade as much as possible. Beware of cloudy days, even in the winter, as the sun still burns through the clouds and can fool you into thinking that you are not being exposed to any sun. It’s best to always use a broad-spectrum sunscreen with a minimum of an SPF 15 and it should also contain ingredients that screen both ultraviolet A (UVA) and ultraviolet B (UVB) rays. Also be sure to use a lipstick or chapstick that contains sunscreen for extra protection. Drink tons of water and use a hydrating mask while you sleep which will penetrate your skin and gently remove dry skin cells from the surface of the skin by the next morning, says Dr. Bank. Take warm, not hot showers or baths for approximately 5-10 minutes while washing the skin with a gentle cleansing bar such as Cetaphil or Aveeno Oatmeal Bath to combat eczema or dry itchy skin, which is common in the colder winter months, says Dr. Bank. Showers with water that is too hot can irritate dry or sensitive skin. Don’t forget to exfoliate, even during the winter to slough off the dead cells from the weather, says Dr. Bank. There are many products that have been engineered to be less irritating and have softer mechanical exfoliators. Polyhydroxy acids, lactic acid, glycolic acid and citric acid are best for sensitive skin. Don’t forget to wear sunglasses when outdoors to protect eyes from squinting in the sunlight and therefore causing wrinkles. Winter sunlight can be just as damaging as the sun during the warmer, summer months. Because they are always exposed to the elements and because they have fewer oil glands, lips are predisposed to drying out, says Fayne L. Frey, MD, founder of FryFace, LLC. Apply lip balm regularly to maintain smooth, soft lips and prevent chapping. Beeswax or petrolatum based products are best. Even under lipstick! To maintain soft skin on the hands, apply hand cream regularly when the cold air predisposes us to dry, cracked skin on the fingers. Wear mittens or gloves to protect the hands from the elements, says Dr. Frey. They just dry out the skin further by stripping the skin’s natural moisturizing lipids and proteins, says Dr. Frey. It happens. We’re in a rush or tired after a long day and skip a step. Water evaporation from the skin into the environment is enhanced by the low humidity experienced this time of year, says Dr. Frey. Moisturizing several times a day (especially after showering) helps prevent water form evaporating leaving the skin smoother and softer.